Eventually I plan to show off Evie’s entire room, but today is not that day. 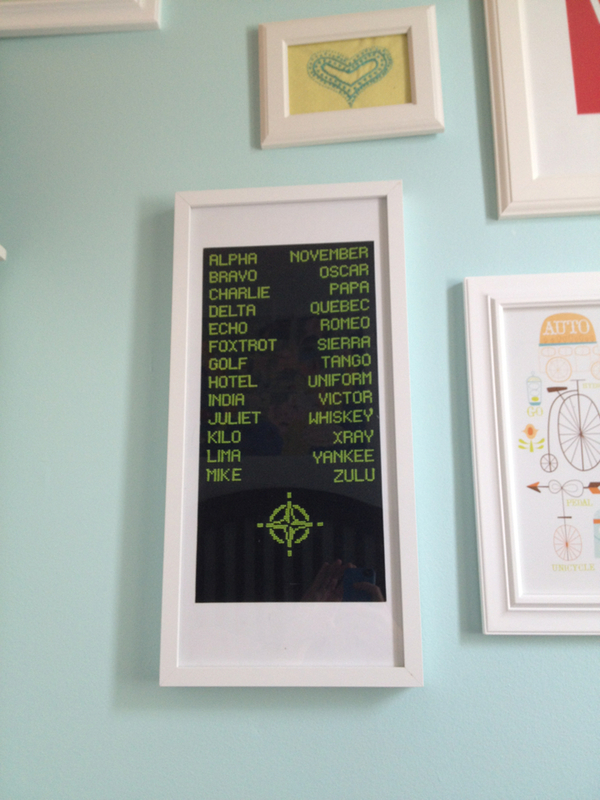 Instead I’m just going to show off the NATO phonetic alphabet cross stitch I made for her. It seems like an important life skill for a toddler to know this. Your cross stitch looks wonderful! I’ve been trying to make a NATO phonetic alphabet, but the plan for it turned out to be much too big. (Maybe it’s because I added Morse code.) Is it possible that you could share the pattern that you used? I’ll have to check my files and see if I still have it. If I do, I’ll post it! That would be marvelous! Thank you.